In this chapter we shall look specifically into the Great Seal of the United States. The Great Seal, created after the Declaration of Independence and before the U.S. Constitution, reflects a religious heritage that the country’s Founders believed in. That religion is the synthesis of the old Mystery Religions which foretell of the return of the Masonic Messiah. The Great Seal, epecially the Reverse of the Seal, found on the American dollar bill, encodes a timeline for the return of this man, whom many believe is either the Saviour of humanity or it’s enemy. On June 13, 1782, Congress asked Charles Thomson to come up with a suitable design for America’s Great Seal. Although today he is not a well-known founder, Charles Thomson was at the heart of the American Revolution. Thomson had served the past eight years as Secretary of the Continental Congress. Thomson submitted this design to Congress on June 20, 1782, and the Great Seal was approved that same day. Thomson’s final report consists of the official description of the design in heraldic terms (a blazon), plus his Remarks and Explanation. Thomson did not include his sketch or any other artwork in his final report to Congress. The original Great Seal is that written description. The first die was cut three months later, and on September 16, 1782, the Great Seal was impressed on a document for the first time. That die was the obverse, eagle side. A die for the reverse, pyramid side has never been created. The reason for this is it’s obvious connection to the Occult. Agents of the Illuminati were committed to the Global Government. In the first part of the 20th century there were several victories over the sovereignty of the United States. The Rothschild Warburg Rockefeller Conspiracy engineered a subversive plan to create another private Central Bank – The Federal Reserve Act of 1913 was a major stepping stone in creating a One World Government. The League of Nations, predecessor of the United Nations was established in 1920. Both the Royal Institute of International Affairs, and Council on Foreign Relations was created in (1920-21). It was after these accomplishments that the Reverse of the Seal was first used. The international bankers created Stock Market Crash of 1929. Once these layers were set in place the integration of power had been completed. It was the right time for the Reverse side of the Seal, which the People of America knew nothing about for over 150 years to now be placed in the American Society. The Secretary Of Agriculture in 1934, Henry Wallace, became the Vice President in (1940-1944). Wallace was a 32nd degree Freemason, he referred for consideration to the President a request to mint a coin representing the seal’s obverse and reverse. Roosevelt, also a 32nd degree Freemason, agreed with Wallace’s proposal but decided to place it on the Dollar Bill instead of on a coin. When Roosevelt saw the reproduction of the Seal in color he was awed by the Symbol representing the All-Seeing Eye. This symbol denotes the Great Architect to the Freemason Order. The numbers 3, 7, 9,11,13, 33, 39, 72 all have significance to occultism and Freemasonry. Any multiple of these numbers have special meaning to the Illuminati. For instance, the Bilderberg Group has core of 39 members who are broken into 3 groups of 13 members in each group. Notice that the core of 39 answers to the 13 who make up the Policy Committee. Take special notice that the 13 members of the Policy Committee answer to the Round Table of Nine. At the official founding of the United States, there were 13 original colonies which became sovereign republics (states) in a loose confederation, referred to as these united States. In 1935, the the Roosevelt government minted US dollars with the Reverse of the Seal on the back of the bill. 13 letters in E Plurbus Unum was rooted in the teachings of Kemet (Ancient Egypt) – Out of many, one. The Eagle on the Great Seal is a representation of the Phoenix which is raised from the ashes reborn. The Benu bird (Phoenix) bird is part of the symbolic degree of 33rd degree of Freemasonry. The number 32 is symbolic of the 32nd degree of the Scottish Rite. The eagle has nine tail feathers, representing the Inner Circle of Nine in the Illuminati, and also the number of degrees in the York Rite; There are 9 levels within the Shriners. “Careful analysis of the seal discloses a mass of occult and Masonic symbols, chief among them the so-called American eagle- a bird which Benjamin Franklin declared unworthy to be chosen as the emblem of a great, powerful, and progressive people. Here again only the student of symbolism can see through the subterfuge and realize that the American eagle upon the Great Seal is but a conventional phoenix, a fact plainly discernible from an examination of the original seal.” Manly P. Hall- The Secret Teachings of All Ages. The significance of the number 13, which frequently appears upon the Great Seal of the United States, is not limited to the number of the original colonies. The sacred emblem of the ancient initiates, here composed of 13 stars, also appears above the head of the “eagle.” The motto, E Pluribus Unum, contains 13 letters, as does the inscription, Annuit Coeptis. The “eagle” clutches in its right talon a branch bearing 13 leaves and 13 berries and in its left a sheaf of 13 arrows. The face of the pyramid, exclusive of the panel containing the date, consists of 72 stones arranged in 13 rows. In light of this, it is noteworthy to point out that there are 13 stars in the Masonic Square on the United States Treasury Seal, the covering agency for the Illuminati’s Federal Reserve and Internal Revenue Service. The number 72 has special significance as relates to the story of Osiris, who was bound by 72 accomplices of Set into a magic box, where he was then thrown into the Nile. There are also 72 pentagrams binding the 72 angels/demons in the mural painted within the Capitol Dome, called the“Apotheosis of Washington”. Below the pyramid, depicting 72 stones in 13 rows, is the date of 1776 in Roman numerals at the base of the pyramid. The year 1776 is not only the year the Illuminati was established (as well as the signing of the Declaration of Independence) but also the beginning of a new Mayan “katun,” a time period of 19.7 years. 1776 is the start date of the final cycle of 13 Katun. If each of the 13 levels of the pyramid on the Great Seal represents one of these time periods, the top level would mark the year 2012 – the final Katun. Clearly, the numbers and dates for the founding of the “New Atlantis” were chosen carefully, and not by accident. The most remarkable connection between these dates is that the Maya themselves recognized a direct link between the number thirteen and the years 1776 and 2012 in cycles and illustrations in a way that academic Richard N. Luxton found to be similar to prophecies of the Christian Last Judgment. He translated and annotated The Book of Chumayel: The Counsel Book of the Yucatec Maya 1539–1638, and noted on katun 13 Ahau: The dates that accompany the illustrations approximate real counts. Katun 13 Ahau ended in 1539 and began in the Colonial Count in 1776.… The traditional theme of agreement as the end of the eastern katun cycle in 13 Ahau is intermingled here with elements of the Christian Last Judgment. Whether this paradigm was also intended for the end of the Long Count in 2012 is open to question. Religious ceremonies and prophecies accompanied Mayan katuns, and Luxton’s connection to the Christian Last Judgment and the thirteen katuns (a katun is approximately 19.7 years) between 1776 and 2012 is drawn from the prophecies of the Mayan prophet Chilam Balam. These prophecies were written down about 1595 CE. Chilam Balam, or jaguar shaman, (reminiscent of the jaguar skins of Nimrod’s priesthood) said the conclusion of this period would witness the judgment of God through social collapse, epidemics, plagues, and famine. The same period would see the coming of two great prophets, one after the other, according to the Mayan prophecy (…the false prophet and the Ani-Christ?). It is no coincidence that the start and ending dates of the final thirteen katuns of the Mesoamerican Mayan Long Count calendar are reflected in the thirteen steps of the pyramid on the United States’ Great Seal. That the steps of the pyramid were intended to convey units of time has been an open secret for many years. Though he was not sure what to make of it himself, Paul Foster Case wrote many years ago that: Since the date, 1776, is placed on the bottom course of the pyramid, and since the number thirteen has been so important in the symbolism of the seal, it is not unreasonable to suppose that the thirteen courses of the pyramid may represent thirteen time periods. John Kehne made an even more intriguing observation, directly coupling the Great Seal’s trestleboard date, 1776, and the Mayan ending date 2012:This Seal shows a thirteen-step pyramid with 1776 in Roman numerals.… [The year] 1776 was not only the year that the Declaration of Independence was signed, but was also a special year in the Mayan calendar. Just as the last katun in the Great Cycle is “katun 2012,” the first katun in the cycle of thirteen was “katun 1776.” In fact, the katun ended thirty-three days before the signing. So 1776 is the bottom level of the pyramid, where the date is actually inscribed—the top of the pyramid is therefore 2012. The Hindu Kali Yuga calendar forecasts global changes around 2012, and China’s I-Ching (Book of Changes) foretells the end for the same year. Thirty-nine years ago scientists Terrence and Dennis McKenna created a stock market-like linear graph based on the I-Ching.Notably, the graphs timeline abruptly falls off the graph on precisely Dec. 21, 2012. In studying the King Wen sequence of binary lines that were broken and solid (yin and yang respectively), Kemp concluded that the universe itself existed to produce new things as evolution continued. He graphed this over time to show that a geometric pattern emerged – much like the pattern in the King Wen sequence. This graph resulted in what Kemp called Timewave Zero. Events such as the discovery of fire, creating weaponry, natural disasters, creating machinery to hasten work times, devastating illnesses such as the Black Plague, higher technology, all fell into a pattern, according to this graph. Kemp then took into the future. In doing so, he found that the speed at which new ideas and concepts comes to a curve – in 2012. The following post was originally posted on the 1st of September by Moriya’s Place and send to us by our friend Agatha. Our commentary on the Modern Israeli Government is at the bottom of the post. Countless Jews are appalled or dumbfounded. They cannot understand how a Jewish government, backed the Israel Defense Forces, could give away Judea and Samaria, the sacred heartland of the Jewish people to terrorist thugs. The Prophets and Sages of Israel predicted that, in the end of days, the Jews would have such a government. They foresaw that Israel would be ruled by “scorners” of the Torah. These scorners, said the Prophet Hosea (12:1-3), will fill Israel with lies and deception. They will strive after wind (“peace”) and make alliances with Israel’s enemies. The Prophet Isaiah (28:14-18) chastises these insolent Jews. He foretells that they will make a “covenant with death,” but that this pact will not protect them, indeed, that they will be swept away like refuse. Remarkably, the Targum translates this pact with death as a contract with “terrorists” (mechablim)! Similarly, the Zohar (Exodus 7b) predicts that in the end of days certain Jews in Israel will make an alliance with the enemies of the Jewish people. The Israel-PLO Declaration of Principles fits this dire prediction. In the Talmud, tractate Sanhedrin (98a), we learn that in the end of days Israel will have the “cheapest” government. Only the cheapest politicians would negotiate with terrorist thugs responsible for the murder and maiming thousands of Jewish men, women, and children. Such shamelessness should make any man of taste want to vomit. This leads me to examine the certain conclusions of Mishna Sotah (49b): With the footsteps of the Moshiach arrogance shall increase and honor dwindle. The government shall turn to heresy [such as secular humanism] and there shall be none to utter reproof. The council-chamber [the Knesset] shall be given to immorality. Galilee will be barren, the Golan shall be desolate, and the dwellers on the frontier [in Judah, Samaria, and Gaza] shall go from place to place with none to take pity on them. The wisdom of their writers [journalists and academics] will become insipid and degenerate [will become morally neutral if not anti-Jewish]; they that shun sin shall be despised. The truth shall nowhere be found [thanks to the university-bred doctrine of relativism]. Youth shall shame their elders, and the elders shall stand up in the presence of youth [a commonplace in democracies] … The face of this generation is as the face of a dog [impervious to shame]… So upon whom can we rely? Upon our Father in heaven. ● Is it not obvious that the Jews in Israel cannot rely on the opposition parties such as Likud to save them from disaster? ● Is it not obvious, from the experience of Lebanon and Sderot, that Jews cannot rely on the Israel Defense Forces? ● Is it not obvious that Jews cannot rely on rabbis who pontificate about pikuach nefesh? Is it not obvious that Jews cannot rely on the United States or on information campaigns (hasbara) to save them from the successors of the Nazis? By now it should also be obvious that it is precisely because Jews have relied on such vanities that they have been given spineless politicians who would sacrifice Eretz Yisrael for mere wind. Finally, consider Rashi’s commentary to Genesis 1:1. If the nations of the world should and say: ‘You are robbers in that you have seized by force the territories of the seven nations,’ Israel can retort: ‘The entire world belongs to the Holy One, Blessed be He. He created it and gave it to whomsoever it was right in His eyes. It was His will to give it to them and it was His will to take it from them and give it to us.’ To whom are these words of centuries ago addressed? Surely, to Jews in Israel today. But no Israeli government has ever uttered these words. Nor has any religious party in any Israeli government ever made such words its clarion call! You will say: “But the nations will mock these words and laugh at us.” I reply: Have countless appeals to “security” won the supportive concern of the nations? Have ingratiating words about “Israeli democracy” earned the respect of the democratic world? Has willingness to yield “territory for peace” appeased the voracious appetites of Janus-faced Arab despots? Is not Israel despised by the nations no matter how yielding it has been in the “peace process”? I dare say that it is precisely because Jews have not based their claim to Eretz Yisrael exclusively on Rashi’s commentary to Genesis 1:1 that Israel is so often disdained and condemned by the nations! I am not saying that citing Rashi will convince any nation that the Jews have a G-d given title to Eretz Yisrael. The task of the Jews is not to convince the nations of anything! That happens to be the compulsion or futility of assimilated Jews. Too many Jews—religious included—want to win the approval of the nations rather than the approval of G-d. Legions of religious Jews rely more on politicians and political rhetoric than on the Torah and on the G-d of Israel. This is why the above Mishna indicates that in the end of days, when we have exhausted the heresies of our time and are utterly helpless, that we shall turn to our Father in heaven. This is not a counsel of despair. It is a plea for rational analysis. Stop relying like addicts on failed ideas and flawed politicians. Start proclaiming that G-d alone has given us title to Eretz Yisrael—and never mind the scorners! Just do it and leave the consequences to G-d, Who alone is the Master of war and peace. We have all seen the great Menorah depicted on Titus’ Arch. A 7 – branched candelabra supported by a stepped base. 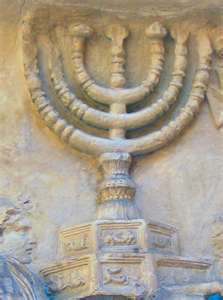 It is without doubt the most famous depictions of the Temple Menorah. On the Arch the triumphant Roman soldiers cart away the Temple Menorah, showing the power of the Roman State. When the modern secular Jewish State sought a symbol to represent the new Jewish state, this menorah was chosen, after much debate and consideration. At first, this would seem appropriate to the unlearned – the Menorah has in the past been the symbol of the Jewish people. But the depiction of the Menorah on Titus’s Arch is a fraud, a forgery. One only need to look at the base or pedestal to see the idolatrous images of dragons carved into the pedestal. There is no possible way that this pedestal ever sat in the Second Temple. Just years before it’s removal, Pontius Pilate tried to have the Roman Double Eagle Emblem installed in the Temple with terrible results. The Jewish people opposed this and we quite willing to die right then and there. Pilate retreated from this attempt to violate the sacred precincts and sought other courses to humiliate the Jewish people. The Sages record for us in the Talmud that the Menorah had a three-legged base with no images on it. They are adamant about it. Some speculation of how the Titus base came into being suggests that the Menorah base was damaged during the War and that Titus commissioned for a new pedestal to be made. Just the inclusion of the pagan imagery on the base defiles the Menorah and exempts it from any sacred use. But Israel’s choice I believe foretells of their future destiny. In choosing a fraudulent pagan Menorah over the true Menorah of the beit HaMikdash, the unbelieving modern secularist government has chosen the Menorah of Exile, one which is carried and controlled and altered by the Gentile World. This is not the true reality. The true Menorah represents the Light of HaShem which illuminates the hearts and minds of the Jewish nation as a chosen vessel to humanity. The modern Israeli Democratic government will itself go into exile and be replaced by the True Menorah which is the Light of Israel. 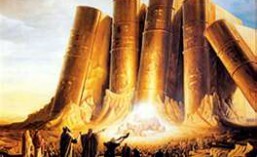 This will be the restoration of the 12 tribed Davidic Kingdom which the Mashiach will bring in when he comes. We live in truly remarkable times. We have an opportunity to see the culmination of what the prophets foretold. 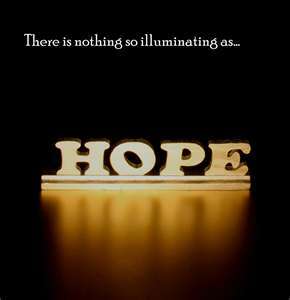 Let us meet it with humbleness and hope. Posted in 3. Torah Judaism, Avodah Zarah, Eretz Israel, Israeli Politics, Middle East Geo-Politics, Return of the Ten Tribes, Signs of the times, Terrorism, The Final Redemption, The Land, The Palestinians, THE UN, War, zohar. In a speech to the American Israeli Political Action Committee (AIPAC) on Sunday morning, President Obama tried to back track on some of his remarks on Thursday at the State Department where the President said that, “The borders of Israel and Palestine should be based on the 1967 lines with mutually agreed swaps, so that secure and recognized borders are established for both states.” Stung by an outburst of condemnation and criticism for his statement and a stern lecture from Prime Minister Netanyahu, the President attempted to calm the controversy byre-stating America’s strong support for the state of Israel, and adjusting his comments on the creation of a Palestinian state based on the 1967 borders in the context of “mutually agreed swaps” of land that would alter those borders substantially. But the damage is already done and the so called cat is out of the bag, so to speak. While all this is going on , I believe it is important to state the obvious and identify who this man is. Barak Obama is a man with a destiny. 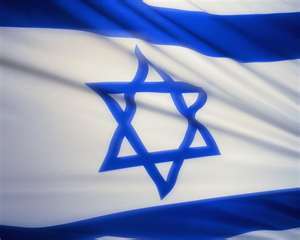 That destiny will have a devastating effect on Israel and those who align themselves with her. People like you. Before I continue, I must state that biblical prophecy is not set in stone. Repentance goes a long ways to annul the negative aspects of a prophecy. But personally I believe we may be past all that, given the state of affairs of the world today. The Torah codes within the Hebrew text establish only potential outcomes and can be nullified if heartfelt repentance or change of heart occurs. There is also an EDL code in Ezekiel 38:1-2, concerning Gog. In the Hebrew text is a 7 letter skip that spells out the name Obama in Hebrew. (See our reprint of the original article – Obama and Gematria, on our Obama Page). There’s also another connection in Hebrew between Barak Obama and Armelius. If one calculates the gematia of both names, they come out to 357. Note that the gematria for Messiah (Mashiach) is 358. Many of his fans believe he is the Messiah but as you can see that he just doesn’t measure up. Armelius is a powerful and evil ruler who will arise during the time of the final redemption. He will persecute Israel and attempt to destroy her. Some Jewish sources say that he is the son of Satan, birthed from a stone (possibly the black stone of the Kaaba in Mecca?). The Midrash Milkhamot HaMashiach the text states that this evil ruler is the one whom the Christians call the Anti-Christ. In Jewish sources he is called Armelius and is the leader of Edom, the king of Romi (Rome/Europe/US). 1. A man unsuitable to rule will be be brought into power in the Last Days. 2. His ego will know no bounds. 3. People will be taken in by his charisma and power of speech. 4. He will claim to be a Christian, but is not. 5. He will the representative of a evil world body which will claim to represent the true Messiah of Israel (Islam). 6. He will set himself up as a Messiah figure. Certainly there is no lack of evidence that Obama is seen as a Messiah figure among many of the foolish people in America and to lesser extent the world at large. After the last King of Persia goes out and speaks against Edom for three years in succession…a man who is the least among the kings, and is the son of a maid who washes clothes in a tub…he is very tall, has a long face and a wide forehead, thin, thin thighs. This seems to be talking about our times. Ahmadinejad very well could be the last king of Persia (Iran) and has on many occasions spoken out against the USA (Edom) at the United Nations. The physical description of course matches President Obama to a tee. Obama has certainly brought about tremendous negative changes in our country through legislation and executive orders. And he is certainly changing the times in which we live. There is much written about him and his destiny as Amelius. 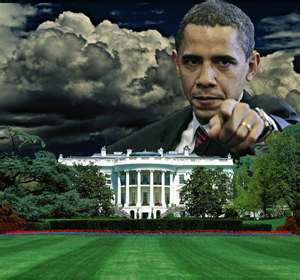 Only time will tell if Obama fulfills all the prophecies about this evil leader. Thankfully, if Daniel’s prediction (7:25) is correctly interpreted (according to Jewish commentators), that Obamanation will only be with us for three and one half years before he comes to ruin. I for one will dance and rejoice at his passing. Rabbi Chaim Vital, the student of the holy ARI, taught usconcerning the passage in Zechariah: “I will gather the nations against Jerusalem; at the End of Days both Edom and Ishmael will join forces together and come against the Jewish people in Israel. For we find a picture in the Torah that Esau, the son of Isaac, went to Ishmael and took Mahalath, the daughter of Ishmael son of Abraham, for a wife. From here is a sign for future generations that Esau and Ishmael will join forces; as the prophet tells us, they will come together to fight against Jerusalem, and G-d will go out and battle for His people and judge the nations through fire. President Obama is considered by Muslims throughout the world as a Muslim, as Sharia law states that the a person’s religion is determined through his father – and Obama’s father was a Muslim. 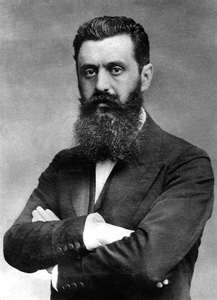 Still, his mother was a Christian – i.e., Edom – making him a combination of both Ishmael and Edom. Could this be what the holy text was alluding to when it said that at the End of Days both Ishmael and Edom will join together against the Jewish people? Was this what the Zohar meant when it said that at the end of days Ishmael would rule over the world and Israel? Only time will tell. One thing is for sure: the Redemption process has taken one giant step forward. May his name be for a curse and his bones be ground to dust.